← What is at risk with the Supreme Court’s healthcare ruling today? Happy Birthday to me. Happy Independence Day to America. 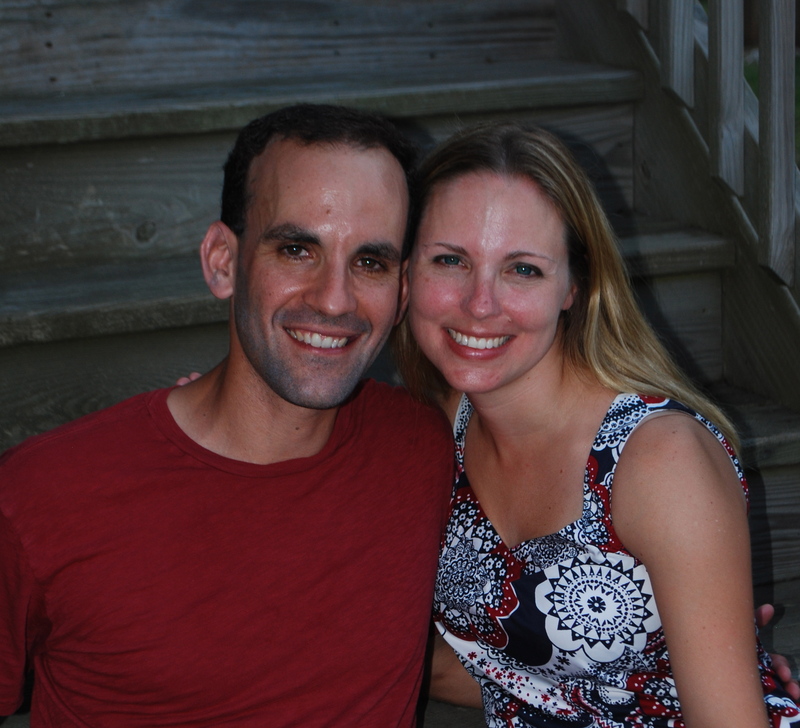 I just turned 34 and had an awesome birthday celebrating with family and friends in the Outer Banks. Growing up, I had a love-hate relationship with my 4th of July birthday. My parents always made sure I had a party, even if it was not on my actual birthday. I received generous presents and my mom always made sure I had a delicious cake. I always got to see fireworks on my birthday, and I even believed that the fireworks really were just for me for a long time. My birthday usually meant a day spent with family at a park, a lake, the beach, or a backyard BBQ – all fun things, but not the number one way that a 12 or 14 year-old wants to spend their birthday. All my friends were usually doing their own family thing, so my friend party usually needed to be on a different day. I used to complain about not getting to celebrate my birthday at school (cupcakes brought to class, decorated locker, etc. ), a plight shared by many kids with summer birthdays. My birthday was never just my birthday, it was everyone’s special day – a day off from work and a day to do something other than celebrate my birthday. I imagine that any kid with a birthday on a holiday has felt this way at one time or another. The things that used to bum me out about my birthday seem pretty silly and self-centered now, but hey, I was a kid and those feelings are not totally abnormal. As I got older, I started to appreciate my unique birthday. I love that everybody is in a festive mood and ready to party on my birthday. Since meeting Les, he has always made a genuine effort to make my birthday extra special and make sure that it doesn’t get lumped into a generic 4th of July party. I always feel like the day is both a celebration of America and a celebration of my birthday. We can always count on our friends and/or our family to be there to help us celebrate. Last year and this year we enjoyed the holiday week with our neighbors at their beach house in the Outer Banks (thank you again T&K). 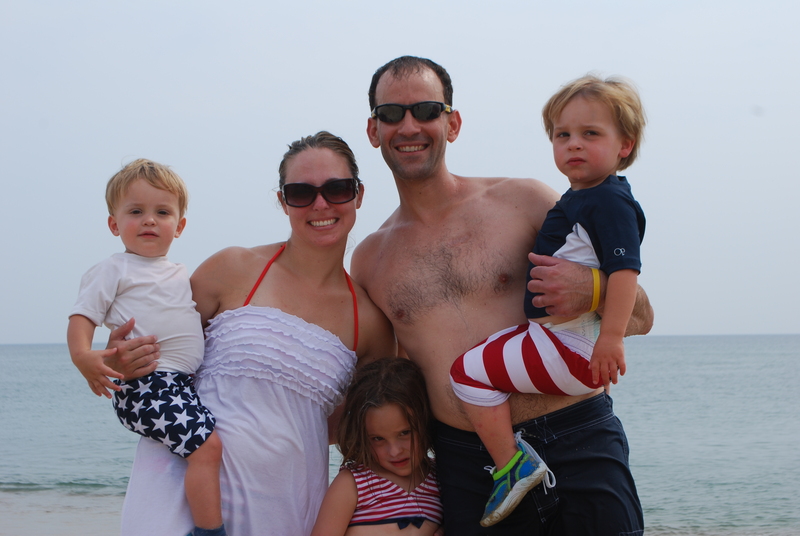 This year, my husband’s family came to the Outer Banks to soak up the sun and mark the holiday and my birthday with us. 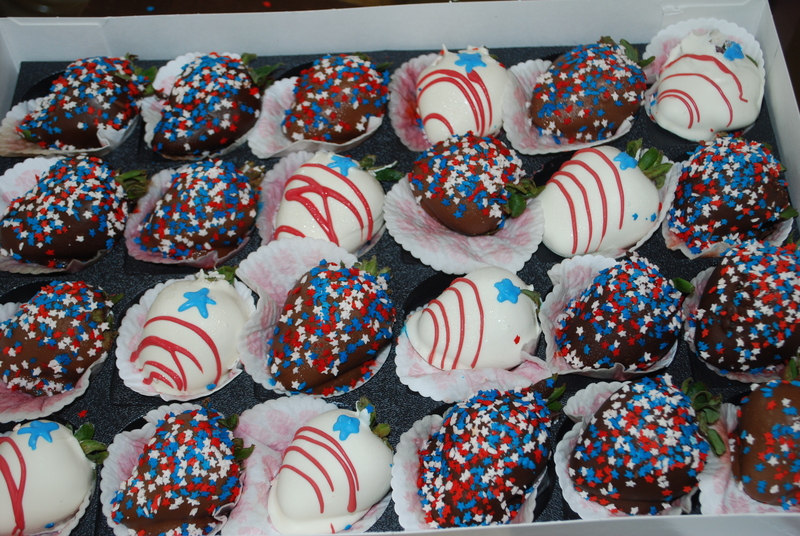 We had an outstanding 4th of July , complete with a morning run, the beach and pool time, paddle boarding, a BBQ, cake and chocolate covered strawberries, and fireworks with my daughter. Upon our return, my mom came over with a yummy strawberry cake to celebrate my birthday since she was not with us on the 4th. 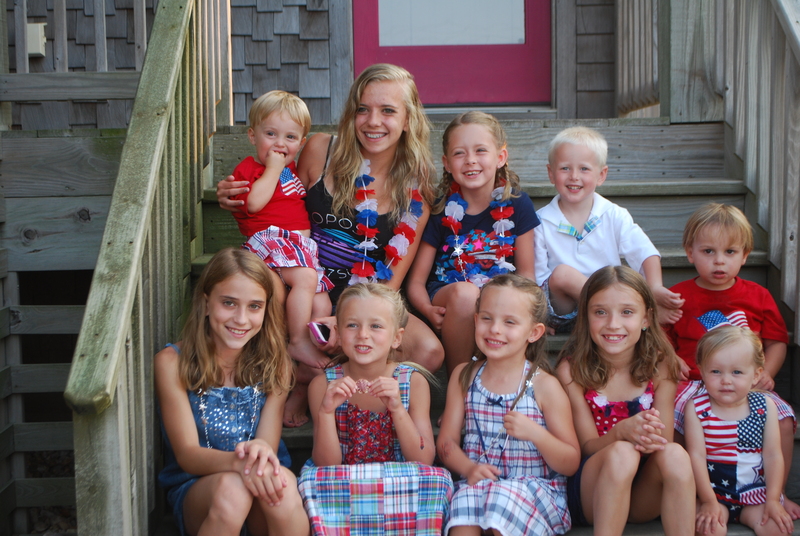 Prior to the past two years in the Outer Banks, we had hosted a big 4th of July/birthday party at our house for 5 years in a row. I liked having the party at our house because we could be around all the people we cared about, but it was a lot of work for me. Don’t get me wrong, I love to plan a good party, but that got a lot harder with one, two, and now three kids. 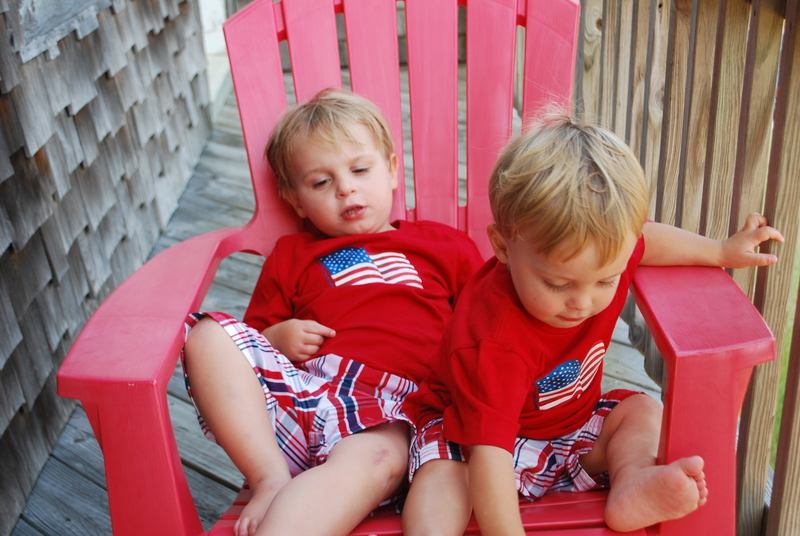 The idea of planning and preparing for a big Independence Day bash (aka: my own birthday party) became stressful and overwhelming as I had to also juggle several children. 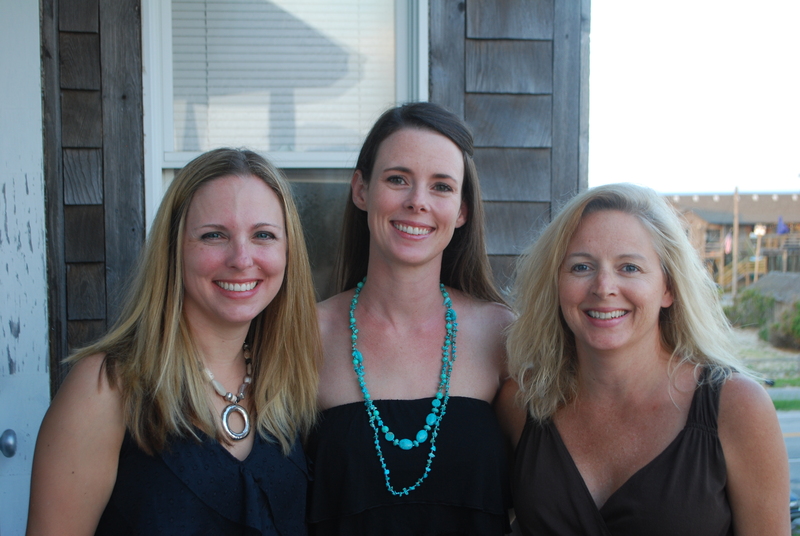 My last two birthdays in the Outer Banks have been relaxing and fun – the ideal way to spend a birthday. I definitely miss being able to have all of my family and friends around, but I do not miss the planning and preparation for a party at our house on my birthday. Rather than cleaning up and worrying about everyone getting to fireworks, I was able to simply take a lovely evening walk down to the beach to watch fireworks with Isabella, my nieces, and some family and friends that were in the Outer Banks with us. It was pretty perfect, especially listening to Isabella ooh and aah over every firework as it exploded over the serene ocean. I don’t feel thirty-four. I probably never will feel as old as I keep turning, at least I hope I don’t. I still feel young – in mind, body, and spirit – at least on most days. I have grown-up. I don’t mind growing up, as life experience and child rearing will do to you, as long as I don’t grow old before my time. I no longer mind sharing my birthday with America. I am honored to share such a historic and special date in the history of our great country. This is going to be another great year, and I look forward to another great birthday and 4th of July next year. We already have an amazing vacation planned to Turks and Caicos next year over the 4th of July week. Sounds like a pretty incredible way to celebrate my 35th birthday! That picture of us turned out great! We need to swap photos from the weekend! I’m so glad we’ve been able to celebrate with you the last couple of years and that you’ve been able to enjoy a relaxing celebration. With time, brings change and that’s ok. I’m just sorry I’ll miss next year! Boo. Thanks Nicole! We def need to swap pics from our trip. I have quite a few good ones on my camera. We will miss you next year, but I am sure we will find plenty of moments to celebrate and have endless fun over the next year. I appreciate all your blogging inspiration and your wonderful friendship!